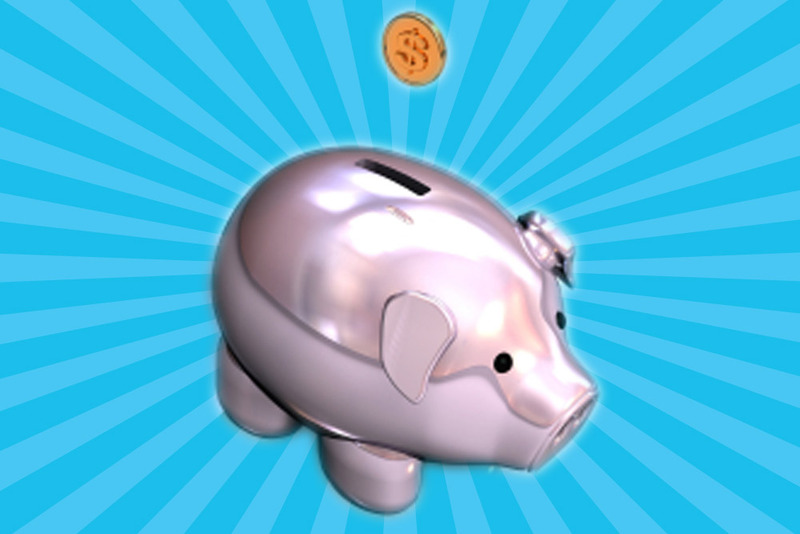 Patients Save More with Our Competitive Drug Costs! We’re not just techs behind a counter. We’re vigilant pharmacists and nurses that watch over each and every one of our patients. Attentive to your needs, we listen and provide one-on-one attention to provide the best possible care. 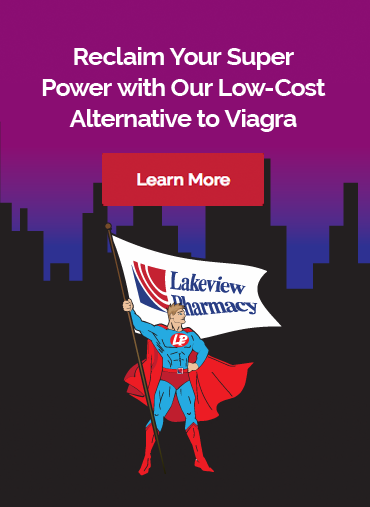 Unlike big box stores, Lakeview Pharmacy generally staffs three pharmacists everyday to allow plenty of time to answer questions, make over-the-counter recommendations and ensure you understand all your medications. Who would you prefer to take your blood pressure? One of our licensed nurses who knows you and your medical history, or a machine in a store that may not provide accurate readings? Big box stores may offer a $4 drug list; however when a medication is not on the ever-shrinking $4 list, it often has a huge mark-up. 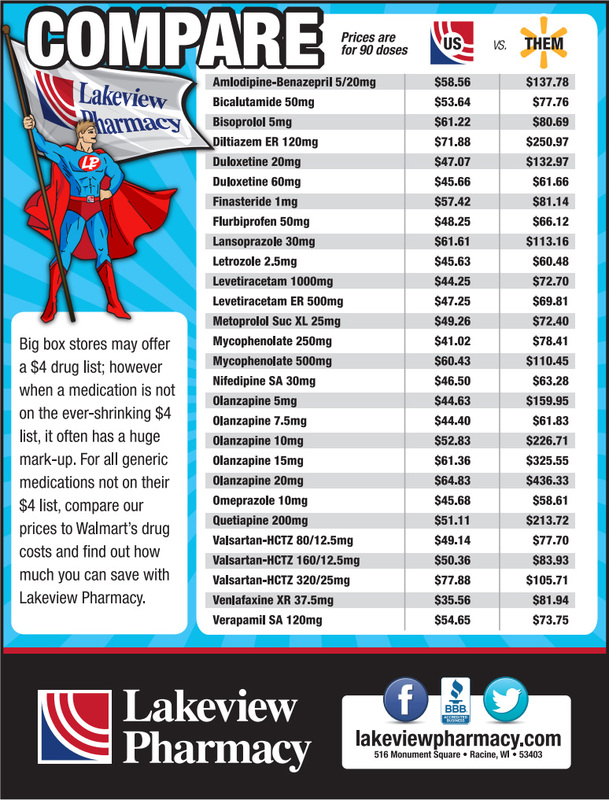 For all generic medications not on their $4 list, compare our prices to Walmart’s drug costs and find out how much you can save with Lakeview Pharmacy. Click on the chart below to enlarge and download it as a PDF. Print the chart and take it to your doctor.